Cieľom medzinárodnej vedeckej konferencie Fakulty masmediálnej komunikácie UCM Marketing Identity je vytvoriť priestor na šírenie najnovších vedeckých poznatkov a praktických skúseností z oblasti marketingu, médií a komunikácie v nadväznosti na význam inovácií, a tiež podporiť dialóg medzi odborníkmi z radov akademickej obce a praxe. Zborníky príspevkov z ročníkov 2016, 2015, 2014 a 2013 v anglickom jazyku sú indexované v databáze Web of Science. we are pleased to invite you to the 15th Annual International Scientific Conference the Marketing Identity that takes place on November, 6th – 7th 2018 at Smolenice Castle. Marketing Identity is organized by Faculty of Mass Media Communication, University of Ss. Cyril and Methodius University in Trnava, Slovakia. We are a well-known scientific event, visited by academics and professionals from Poland, Czech Republic, Romania, Russia and other countries. The quality of our conference proceedings is confirmed by Web of Science, which has indexed the recent editions (2016, 2015, 2014, 2013) in their database. The international scientific conference held annually by the Faculty of Mass Media Communication UCM in Trnava has become a traditional event with support and attendance of mass media communication theorists and researchers as well as media professionals. The goal of the conference is to present and exchange the current knowledge and experience reflecting marketing communication, innovations and trends connected to them nowadays. The lead theme of the conference in 2018 is Digital Mirrors. We would like to remind you that it is necessary to respect the deadline for submitting papers so we are able to inform you about the results of the review process and to determine your conference fee in due time. In case you are unable to meet the deadline, your paper will not be published. The participants will receive a detailed schedule of discussion papers at the registration. Section 4.: The Crooked Mirror of Law (GDPR). segmentation and typology of generations. consent of a natural person obtained during marketing activities of a company (newsletters, competitions,loyalty programmes). 100 € – a paper in Slovak, Czech, Polish, English, or other language which will be published in the standard conference proceedings. In case of co-authorship, each co-author pays conference fee 70,- €, whether attending the conference personally or not. We would like to remind you that it is necessary to respect the deadline for submitting papers (12th October 2018) so we are able to inform you about the results of the review process and to determine your conference fee in due time. In case you are unable to meet the deadline, your paper will not be published. The conference fee covers the organisation costs such as renting of the conference venue, printing the conference materials, publishing the reviewed conference proceedings, refreshments offered during the conference, and evening banquet. Please note that the fee does not cover the costs for lunch and accommodation. Note that the conference fee may be paid via bank transfer (please fill your billing information while completing the registration form in case you are interested in this option). Please note that the fees for lunch are paid in cash only, during registration procedures at the conference. Lunch is optional; expressing your interest in having lunch is a part of the electronic application form. Please note that the fee is paid in cash during registration procedures. In case you are interested in this service, please express your interest by choosing the proper option included in the electronic application form. To learn more about other choices of individual accommodation in Trnava, please see the following website: www.trnava.sk. Transportation to the venue of the conference is individual; please note that each participant pays the travel costs at his/her own expenses. You may also use the bus service available to the conference participants – from Trnava to Smolenice. 8.00 a.m. from the University of SS. Cyril and Methodius, Namestie J. Herdu 2, Trnava. Using the bus service provided by the University of SS. Cyril and Methodius is free of charge. If you are interested in this service, please contact Dr. Mendelová or Dr. Bezáková. Please note that travelling by car may be complicated by a certain delay due to traffic situation in Trnava. We would like to kindly suggest using Route 51. It is possible to park your car in a parking place located right next to the Smolenice Castle. Parking is free of charge. Please send your paper in Slovak, Czech or English language and in the maximal extent of 10 pages (including abstract in English, key words, illustrations, charts and list of references) to: marketing.identity(at)fmk.sk using the MS Word text editor (.doc or .docx format) until 12th October 2018 at the latest. All margins: top and bottom 2,5 cm, right and left 2 cm. Chart description: above the chart, including the reference. Bibliographic references or notes: please use numbered footnotes on the relevant page in accordance with citation rules approved by Faculty of Mass Media Communication. Please see paper template available at the conference website. Title of the paper in English (14 pt, bold, CAPITAL letters, align centre). Name and surname of the author/authors (14 pt, italics, align centre). Abstract in English – max. 15 lines. Key words in English – max. 10 words. Titles of the chapters (14 pt, bold). List of references – according to FMK´s citation rules. Contact details – name(s) of the author/authors with full academic degrees, name and address of the affiliated organisation, e-mail(s) of the author/authors (align left). Peer-reviewed conference proceedings that include selected conference contributions in English, which will be suggested for database indexation (Web of Science, Scopus, etc.). Standard conference proceedings in Slovak, Czech, Polish or, eventually, in different language. The conference proceedings related to Marketing Identity 2013, Marketing Identity 2014, Marketing Identity 2015, Marketing Identity 2016 have been positively evaluated and indexed by Web of Science. Conference proceedings related to the conference Marketing Identity 2016 are currently being evaluated by Web of Science. We would like to kindly remind the authors that these texts must meet all grammatical, stylistic and scholarly requirements associated with academic writing in English and translations must reach the highest professional and terminological level. In case the contributions meet the given requirements, the received papers will be published in peer-reviewed conference proceedings. All texts as submitted must be original, so-far-unpublished (please see the Editorial Policy tab). Presentation of the paper, including discussion, may not exceed 15 minutes. Each discussion section is equipped by laptop and digital projector. 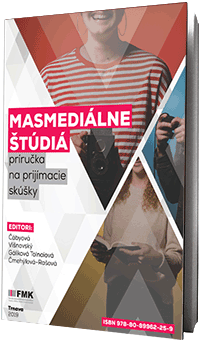 „Marketing Identity“ are scientific peer reviewed conference proceedings published annu­ally by the Faculty of Mass Media Communication at UCM in Trnava. The proceedings are dedicated to present the most significant theoretical, research and professional contributions to the international scientific conference “Marketing Identity” in order to provide the selected pa­pers with wider scientific and professional recognition. Prof. Dr. Peter A. Bruck Ph.D.
Prof. Dr. Slavomír Gálik, PhD. Prof. Dr. Dušan Pavlů, PhD. Prof. Dr. Hana Pravdová, PhD. Prof. Ing. Jarmila Šalgovičová, PhD. Prof. Ing. Anna Zaušková, PhD. Assoc. Prof. Ing. Jaroslav Bednárik, PhD. Assoc. Prof. Ivana Bestvina Bukvić, PhD. Assoc. Prof. Dr. Ľudmila Čábyová, PhD. Assoc. Prof. Krzysztof Gajdka, PhD. Assoc. Prof. Ing. Aleš Hes, PhD. Assoc. Prof. Dr. Denisa Jánošová, PhD. Assoc. Prof. Ing. Zdenka Musová, PhD. Assoc. Prof. Mgr. Ondřej Roubal, PhD. Assoc. Prof. Ing. Rudolf Rybanský, PhD. Assoc. Prof. Dr. Marek Švec, PhD., LL.M. Assoc. Prof. Mgr. Norbert Vrabec, PhD.